Welcome To Pinezanita! 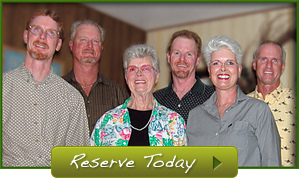 Since 1968 Pinezanita RV Park and Campground has hosted thousands of satisfied campers with RVs, trailers, tents, and plain sleeping bags who enjoy the great outdoors of Southern California. It’s the hospitality of the Stanley Family that keeps campers coming back each year to enjoy the clean, quiet camping area designed for couples and families. Come take a tour of Pinezanita RV Park and Campground and see what we’ve done to make your visit a memorable one… We’ve even added three cottage rentals for those who prefer not to “rough it”! 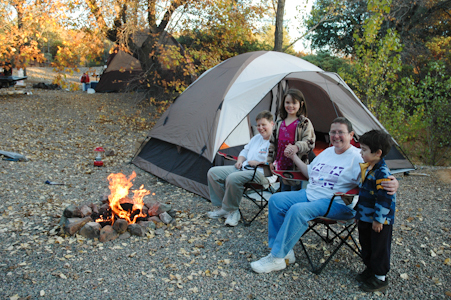 RV Camping at Pinezanita provides a clean and quiet weekend outing. It’ easy to see why two and three generations of families return to Pinezanita each year to enjoy the great outdoors. The individual campsites all have shade trees, picnic tables and fire rings. You won’t find plain dirt campsites… instead you’ll stay on a clean and leveled pea-graveled site giving each camper a place to set up any size tent or just spread out a sleeping bag.